It was while recording a story about the impossibility of divorce for women in Afghanistan that Zarghuna Kargar decided she must find the strength to end her own arranged marriage. Brought up in Kabul and then Pakistan after her family fled from the Taliban, she was engaged at 16 to a distant relative she had never met and married in London after her family claimed asylum in Britain. 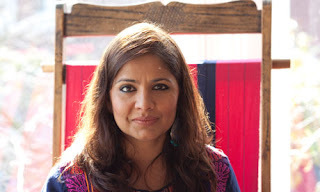 Trained by the BBC World Service's charitable arm in Pakistan, in London she became the presenter of Afghan Woman's Hour, a weekly magazine programme modelled on Radio 4's Woman's Hour that highlighted the terrible position of women in Afghan society. The show was a huge hit and was praised for its frank treatment of subjects including domestic violence and homosexuality. But though her own family was educated and liberal, and her parents moved to the west partly for the benefit of their five daughters, an arranged marriage was expected and Zarghuna accepted that. "I did have a lot of arguments with my parents during the engagement but it was something I had to do," she says. "I had to either be a good Afghan girl, who accepted whatever decision was made for me, or be a bad girl and leave. Breaking an engagement was a big thing and I got scared. So I decided, I'm a good Afghan girl, I'm going to do it the Afghan way. And we got married. The whole time it was a horrible feeling." Now Zarghuna, who is 28 and known as Zari because some British people find the guttural "gh" sound difficult, has written about her miserable three-year marriage in her first book. Dear Zari is a heart-wrenching anthology of the personal stories broadcast on Afghan Woman's Hour. It includes appalling stories of abuse – of girls given away as household slaves to settle family feuds, of widows shunned, of wives blamed for giving birth to daughters. Interwoven are intimate details of the author's life, including her wedding night. "God, please make sure I bleed; that's the only wish I have. I don't want money or a big house to live in – I just want this blood," was Kargar's prayer on the day of her marriage. Submitting to her husband, Javed, whom she did not like and hardly knew, and shaking uncontrollably, she spent the night weeping uncontrollably because the wished-for "proof" of her virginity did not materialise. "As a result, my married life had begun with my husband failing to trust me," she writes. "Whenever he spoke unkindly to me after that, I thought it was because he didn't believe I'd been a virgin on my wedding night." Unlike many of the Afghan marriages she describes, Kargar's relationship was not violent. She and Javed did not even argue that much, she says, because they were not that involved. "It was my destiny, but it wasn't a good feeling. He was about 25 – a young man – but when I met him it didn't really work for me in a girl way, or a woman way. I just didn't have any feelings and I think it was the same from his side. We were just put together by two families." Kargar says that she tried to embrace her role as a wife, but they barely talked – she thinks partly because Javed envied her career. She hoped if he got a good job, the situation might improve, but instead she got lonelier and more convinced that their marriage was a disaster. Her career flourished, as Afghan Woman's Hour achieved audience figures in the millions. But as her life became increasingly unhappy, Kargar found herself moved by the harrowing first-person stories featured on the programme to look again at her life. "I felt that discussing these kinds of women, their stories and the way they talked, and what they wanted, empowered me. I was feeling a kind of hypocrisy inside me because the experts I invited on the programme were giving all this advice, but I was not making decisions in my own life." It was the story of Anesa, a woman married to a gay husband who moved his lover into the family home, that finally gave her the push she needed. For four years, Anesa said, she lived with her children, her husband and his lover. The lover was the favourite, while her sons were beaten and often went hungry. Yet she was unable to leave. Though Anesa's husband's homosexuality was frowned on by Afghan society, and his children victimised as a result, if she divorced him she would lose them. She often thought about killing herself. In the office, Kargar and her World Service colleagues discussed divorce and the insurmountable problems facing women in Afghanistan who wished to leave their husbands. "And I was thinking, actually I have choice. I was educated, I had a good job and no children. I was capable of doing it and I had the support of the legal system." In 2006, aged 24, and having lost all hope and respect for the relationship, she asked her husband to leave. At first he was angry, and tried with her parents to make her change her mind. But she stood her ground, and in the end the divorce papers came from him. He has since remarried. Last year, the funding for Afghan Woman's Hour was cut, and Kargar transferred to the Afghan news service. The programme was not without its critics, as the money came from Foreign Office counter-terror funds, but Kargar is passionately proud of its role in promoting women's rights and freedoms. When she arrived in the UK as an 18-year-old in August 2001, the September 11 attacks were still a month off. Ten years on, she supports the presence of foreign troops in Afghanistan and fears a return to even greater chaos. Her father, who was a government official during the Soviet invasion, and later worked as a writer on the World Service's Afghan soap opera, New Home New Life, now teaches Pashtun to British soldiers. But while she was inspired by the young revolutionaries in Tahrir Square in Cairo, she is made uncomfortable by the celebrations in the west of the death of Osama bin Laden. She kept her divorce secret from colleagues for two years after it happened, and is still working through her feelings about what happened, wiping away tears when she recalls her wedding. "I was just very upset, and very angry with everything. When they talked about the decorations, I said 'Just take the chairs from the kitchen! I don't care!' And I really didn't care. It was very difficult." Her family hopes that she will remarry one day, and she says that although two of her sisters' arranged marriages have worked out well, her parents have decisively broken with the custom. She sees them every week and has forgiven them for her earlier unhappiness. They are proud of her book, she says – though she has been warned against publishing pictures of her relatives, including childhood photographs. As a teenager in Peshawar, Pakistan, where women were more restricted than in 1980s Kabul, and she first became used to covering her head with a scarf, Kargar had no romantic or sexual experiences of any kind. "I was a very dull teenager, very quiet and isolated from boys," she says. "We were a girls family [five sisters, one brother] and in our culture, love stories are not really good stories to hear, so maybe those things had an effect. I didn't even understand that these feelings existed; I never even had a crush. It was weird." What is disturbing in the book, and must surely be for many women in reality, is the way that such complete ignorance – even on her wedding night, in London, Zarghuna had no idea what to expect in the bedroom – is suddenly shocked out of them, as they are expected instantaneously to turn into adult women. One girl known to her family in Pakistan and mentioned in the book, offered in a marriage exchange at 11, died in childbirth after the book went to press – aged 13. Now, with such innocence firmly behind her, Zarghuna is determined to make her own choices. She says the moment of her greatest strength was the decision not to have children with her husband when everyone around her encouraged it. "I want to be a mother with somebody I love, and not just for the sake of my own happiness. I want to give proper happiness to my kid with a loving daddy if I can. But if that doesn't happen, then I'm happy the way I am."